http://kaiser-tours.com/ речные прогулки по Вене Речные экскурсии Вены. 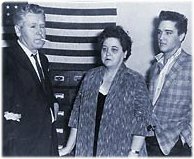 This Vernon Presley page is dedicated to providing quality Elvis Presley biography information, pictures and articles for your entertainment. The contents of this Elvis Presley biography site is written by a fan for his fans about Vernon Presley. By the time the Depression of the 1930’s dumped an extra load on their backs many people had found that their only real defence in life was a fierce independence and strong family ties that would allow them their only resource and joy. 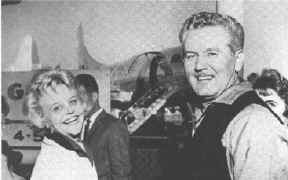 It was in that setting that Vernon Elvis Presley and Gladys Love Smith fell in love. "We should have been in school but we eloped," Gladys recalls. "We didn’t elope very far. We just went down the road five miles to Vernon and got married." Elvis inherited his mother’s coloring. Her once blonde hair (later dyed black for effect) and her velvety blue eyes could both snap and smoulder. Both parents had an unpretentious deep natural dignity. They spoke frankly about their lack of formal education but their lively native intelligence made them intriguing conversationalists. Like all proud parents they love to talk about their son. "We had twins," Gladys whispers. "and we matched their names. Jesse Garon and Elvis Aron. His twin brother Jesse Garon Presley was stillborn. Jesse was buried the following day in Priceville Cemetery in an unmarked grave. "Maybe that’s why Elvis has always been so dear to us." 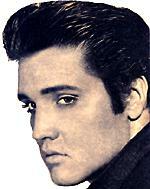 Elvis, they go on to explain, was a family name, handed down from one generation to the next, its origins lost in time. Vernon hoed cotton, corn and peas and Gladys worked as a sewing machine operator for Tupelo Garment Company. The couple lived with their in-laws at first, while Vernon drove trucks, sorted lumber and also continued to work crops. Gladys had to quit her job when she became pregnant with Elvis. With Gladys out of work money became scarcer than ever for the young couple. Fortunately a dairy farmer named Orville Bean had loaned Vernon enough money to build a small "shot gun" style home in East Tupelo. The house was completed in time, before Gladys was ready to give birth. The house, raised on stilts to protect it from overflowing Creeks, was a small two roomed shack whose design was called "shot gun" because it was small enough that if the front and back doors were open you could blast a shot gun clear through without hitting anything. Vernon Elvis Presley: "I thank God, He gave us you as our son." Vester Presley: "I'm mighty proud of ma nephew El' the best any man could've had..."
The boy, Elvis Aron Presley, at the age of two or three he was a real sharecroppers kid wearing his overalls, a two toned shirt, and a hat which is warn in the same way as his dads, is cutely tipped to the right. With his fine eyes whose pupils seem huge giving him a sharp look, his nose appears to be in a flattened form, his cheeks are very chubby, and even now at this age his famous curl is already altering his full lips. At the age of six Elvis seems to of developed a few of his mothers delicate features, with his golden colored hair, wide-eyed and beautiful, but his curled lip is very much noticeable, giving the cherub a impish look, but also irresistible. Now at the age of eight he is taller, slimmer and quite passive: every mothers ideal child, he is now dressed in the local style, with a long sleeved-shirt, open at the neck, and raggedy trousers held up chest high with the support of braces: a mighty fine Huckleberry Fin. In the future Elvis learns to love God, to value even his worst elders, and to stand by his Country whether it is right or wrong. As life goes on, his untaught eyes observes his parent’s appalling poverty, they both rise with the dawn and work hard all day with very little time for pleasure. His father keeps changing jobs, they have to keep moving, and it seems like no end in sight. Elvis looks at his mothers face, feels the tension in her flesh, its then Elvis turns to her promising one day he will mend thing’s. It is likely that Elvis is now aware of the protective smiles to the exposure lying ahead of the family, in the land’s gripping poverty. Elvis sings to his mother when the storms force them from home; he stands up to sing in the classroom and at church, clear, unsteady, doubtful, with an impressive genuineness that brings tears to the eyes of the strongest in the room. Elvis’s nature was very sweet and consistently polite, quiet and considerate, as for rebellion it never existed in his personality. Elvis may have been poor but respectable, standard at school; he would gather flowers with the other kids, fooled around, but seldom gets into trouble: an unknown child. When he is thirteen the Presley family are on the move again, leaving the harsh fields to the bright lights of Memphis. Elvis now sixteen naturally, continues to sing, and carry his guitar around. He would on occasions play for his friends, in the schools variety shows, on picnics and at times at the local boys club≈but not to receive a financial return. Elvis is not showy with it; he is quite the opposite and is often reluctant. It’s just something he does≈but knows how to get it going once he starts. Elvis being no different to other kids of this age: following the girls, pairing up to go out to the movies, having rides at the carnival, and longing for the day he has a car to go cruising in≈just an average all American boy. In the adolescent years hanging out by the drug stores and jukebox joints, bored by the past, with nothing offered by the present, while casting misty eyes to wards the romantic future. It seems his Country is going through a boring stage. Girl’s in their bobbed hair and make up; the guy’s≈presenting neatness wearing slack’s and jumper’s with tidy crew-cut≈play sport. Just before the end of Elvis’s school year’s, he start’s part time work as an usher to help out with the hard times for his parent’s, but had to quit after punching a fellow usher. He then works evening shift at the Marl Metal Product’s Company which became difficult while also tending school though the day but after falling to sleep at school he quits again. Life doesn’t seem to be improving for his parents as they continue to struggle through the tough times, Elvis starts mowing lawns for pocket money, and yet no matter how grim thing where for the Presley’s, they would always do the best they could by their son. They went as far as buying Elvis a Lincoln Coupe, which it seems, is for all the family, but Elvis uses it. Life remains unsteady, but in view of the conditions Elvis has good time≈going out to parties, hanging around jukeboxes, generally enjoying life. But he remains very thankful to his parents and returns all the love he receives. After leaving school in June 1953 he gets a factory job, then goes to Crown Electricity Company, where he finally gets to be a truck driver and loves it. It was noticed by many he liked to comb his hair and that it wasn’t a concern how seen him do it, in all reality he thought little of others opinions as he would rather use a beauticians pallor than that of a barbershop. Description of Elvis Presley biography site contents: This site contains Elvis Presley biography information, Elvis Presley Father Vernon Presley picture Elvis Presley biography, history on Elvis Presley life story, Elvis Presley pictures and photos, Elvis Presley Father Vernon Presley picture Elvis Presley song lyrics, Elvis Presley movie resources, free e-books and articles listed for your convenient search in subjects of: Elvis Presley pictures and photos, Elvis Presley song lyrics, Elvis Presley Father Vernon Presley picture Elvis Presley movie resources, Elvis Presley childhood, Elvis Presley Band members biography, Elvis Presley Father Vernon Presley picture Elvis Presley girlfriends, Elvis Presley biography, Elvis Presley spiritual medium stories, Elvis Presley Memphis mafia stories, Elvis Presley Father Vernon Presley picture Elvis Presley biography, Elvis Presley diary quotes, Elvis Presley movie and music details in relation to the Elvis Presley autobiography and Elvis Presley Father Vernon Presley picture interviews of friends and family members for the Elvis Presley biography website written by a fan for his fans.